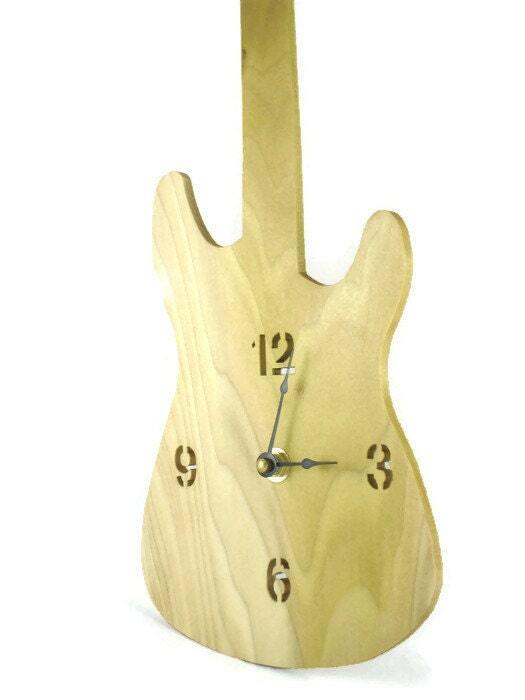 Any guitar player or music enthusiast would love a time piece like this handmade guitar wall hanging home decor clock. 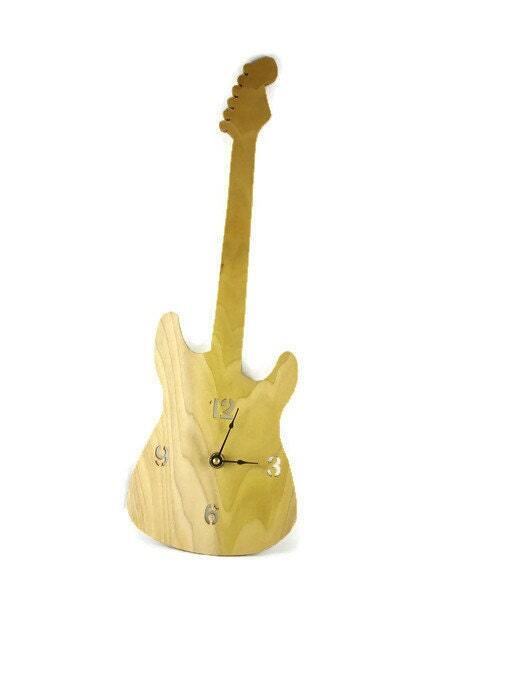 Clock could be used for a man cave or a band practice room / basement.. 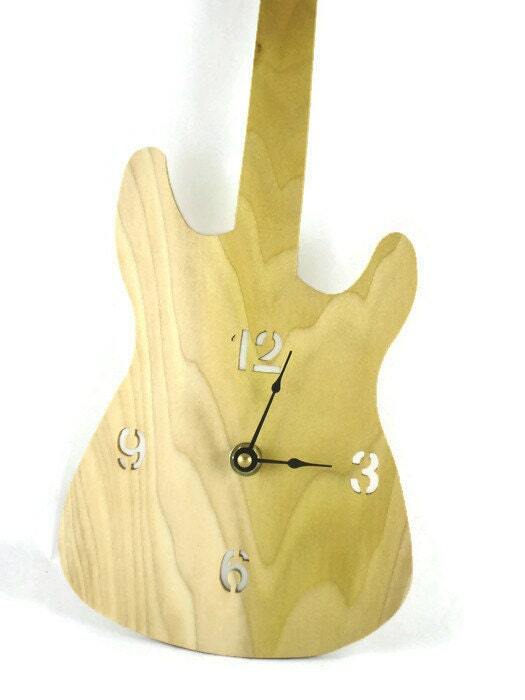 This Fender Stratocaster guitar wall hanging clock features a smaller scale electric styled guitar with the arabic styled number 12, 3, 6, and 9 cut out of the 1/4 inch thick Poplar wood. A quartz clock motor is used on this with black hands. 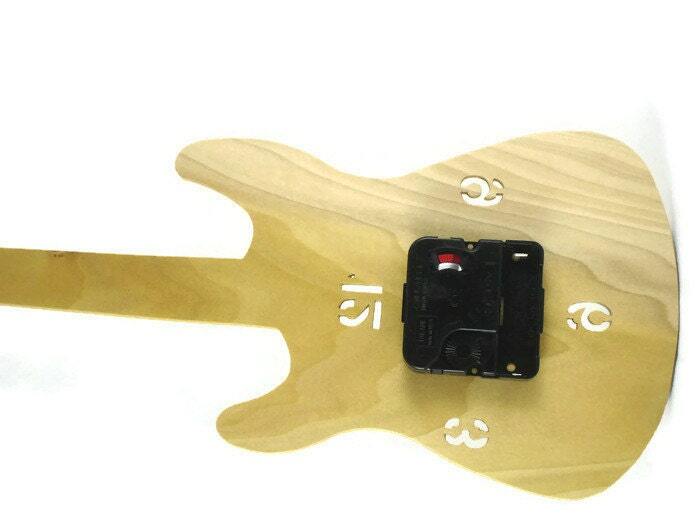 A handmade hanger is glued to the guitar neck for ease of hanging this on your wall. The clock motor requires one AA battery ( Not included ). A non-toxic homemade mixture of bees wax and mineral oil finish was applied to this to bring out the natural beauty of the wood grain as well as to protect its natural beauty for many years of enjoyment. This finish also gives the wood a silky smooth soft feel to the touch. This measures approximately 18 inch long and 8 inch wide at the base and 1/4 inch thick Poplar wood. 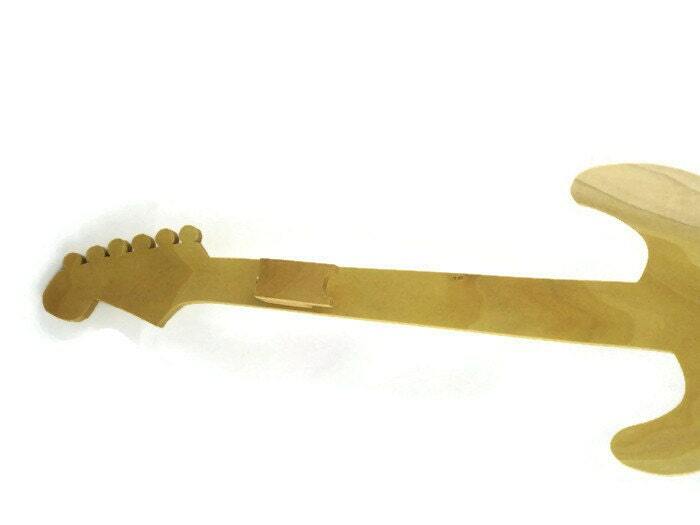 A wood hanger is made and glued to the guitar neck.